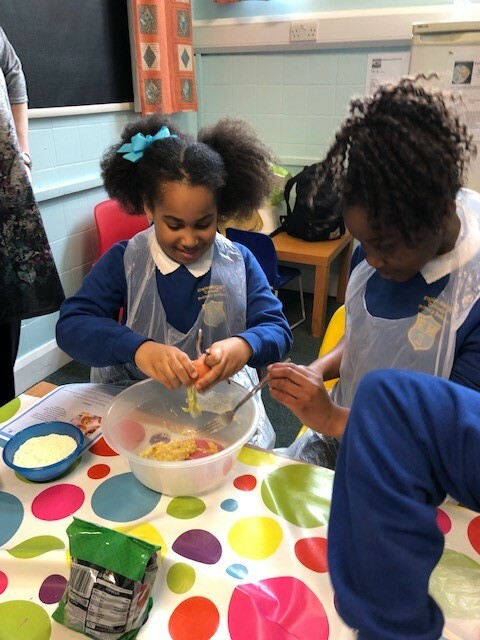 It has been an exciting term of cooking and getting creative in the kitchen for our Yar 5 pupils as they master many recipes and techniques in Cookery Club. 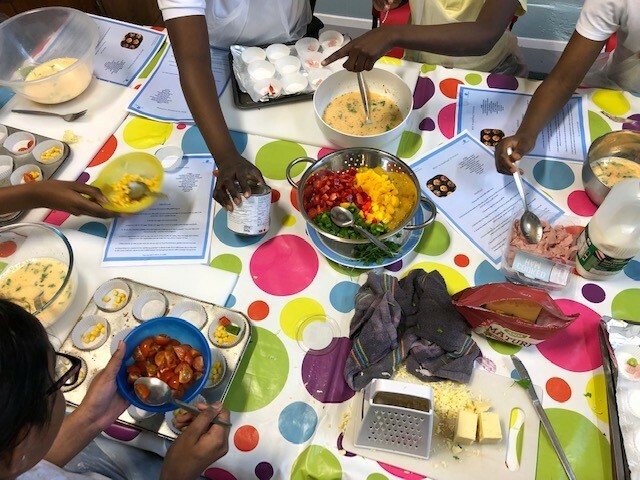 Four of the children taking part in the sessions had never cooked before so this was a great experience for them. 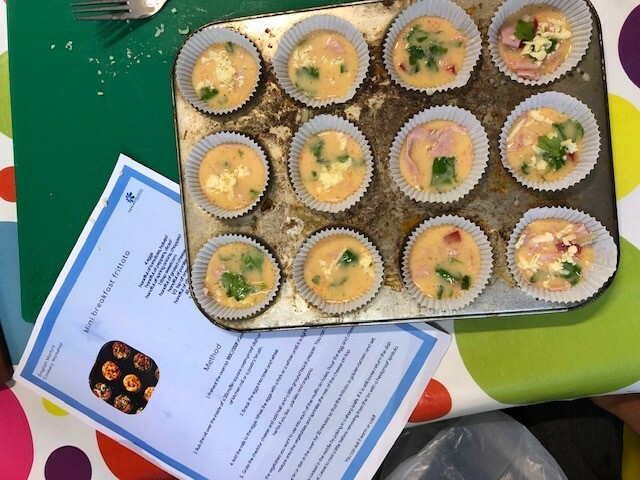 At the end of each session, the children took home recipe cards to recreate at home with family – sharing the experiences and skills learnt during the sessions. 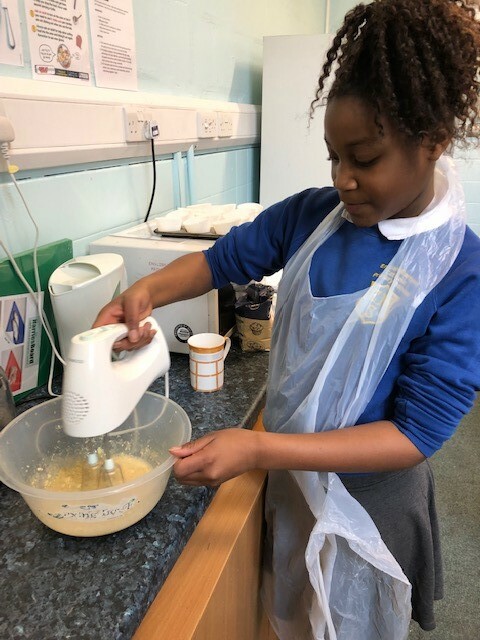 Three of the children have tried out the recipes again at home with their families. Please click on the thumbnails below for a lage view. 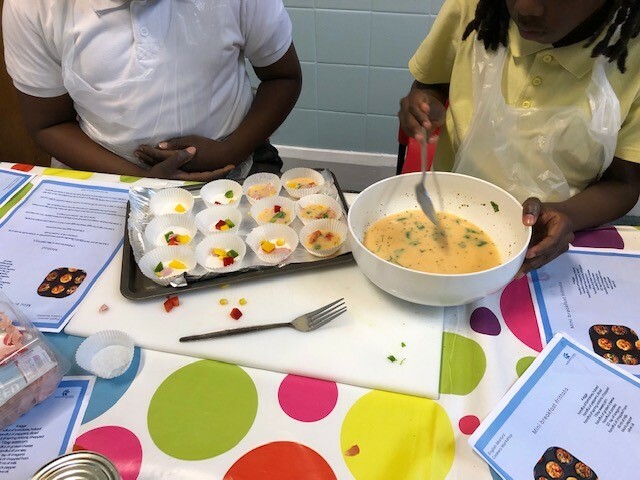 I have enjoyed cooking because I do not really do cooking at home, so this was a very good experience for me and I hope more people enjoy it too. 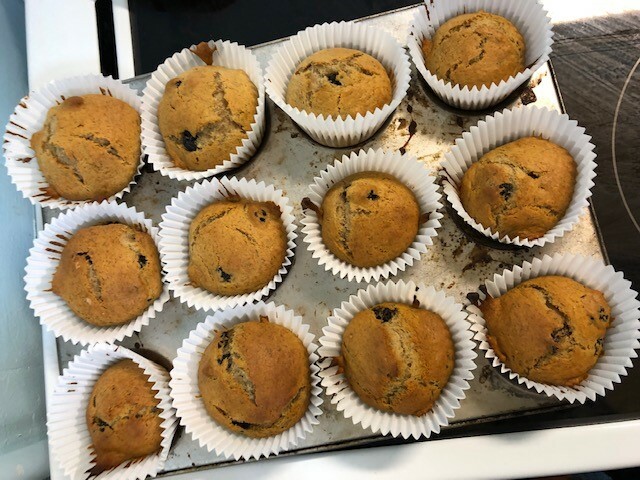 My favourite recipe was the muffins because this recipe taught me how to use many ingredients. Also, the teachers have taught me how to be safe around cookers, ovens and more. This was a very good 2 weeks! Thank you! 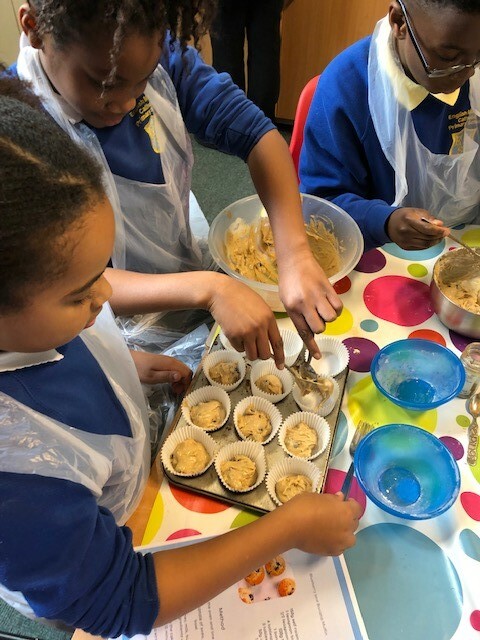 I have learnt that when we follow a recipe it is important to make sure we have the correct measurements and stick to the recipe. 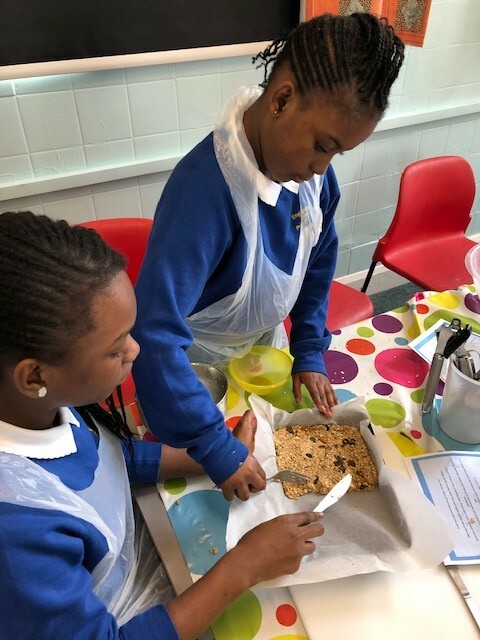 My favourite recipe was the fruit flapjacks. It was simple! We need to be safe and not burn ourselves when cooking. I have enjoyed it so far. 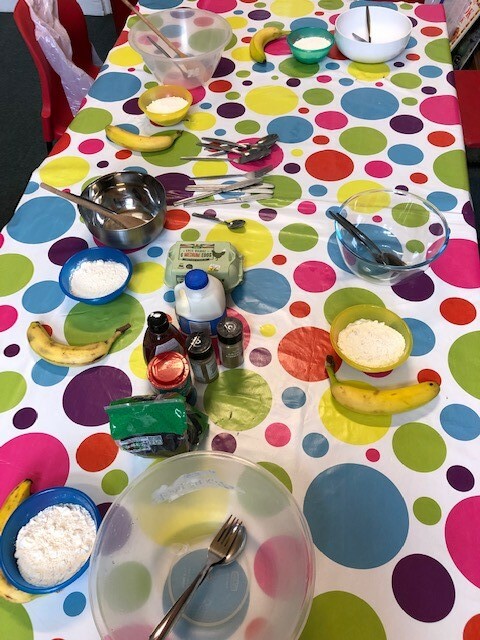 The session I enjoyed most was fruity flapjacks. The sessions have taught me how to mix ingredients well. 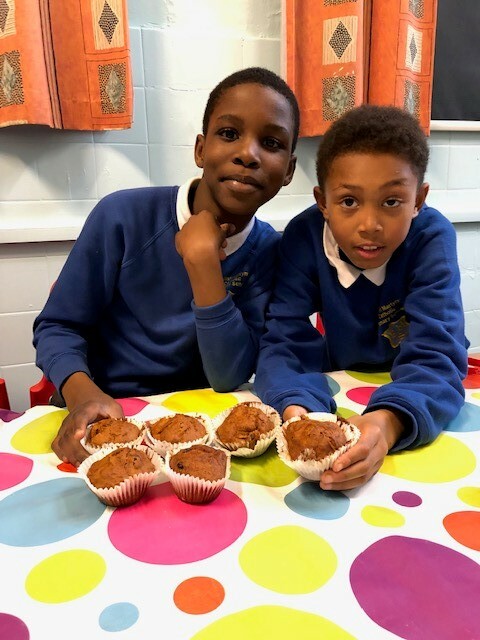 My favourite recipe was the muffins! I have learnt how to be safe with cooking utensils. I have also learnt to cook some new things I have never tried before. I know how to be safe around boiling water and when an adult is opening the oven. 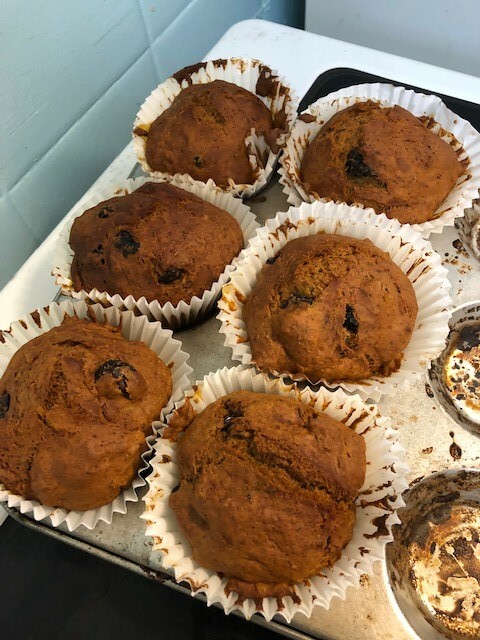 My favourite recipe was the muffins. 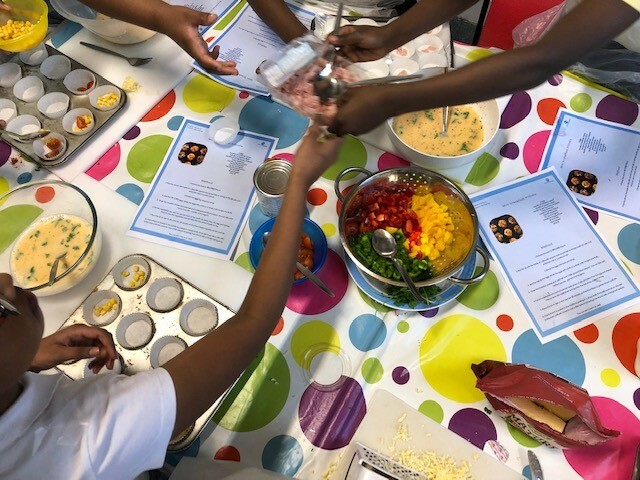 In the sessions, I learnt new skills such as how to weigh the correct amount of ingredients. 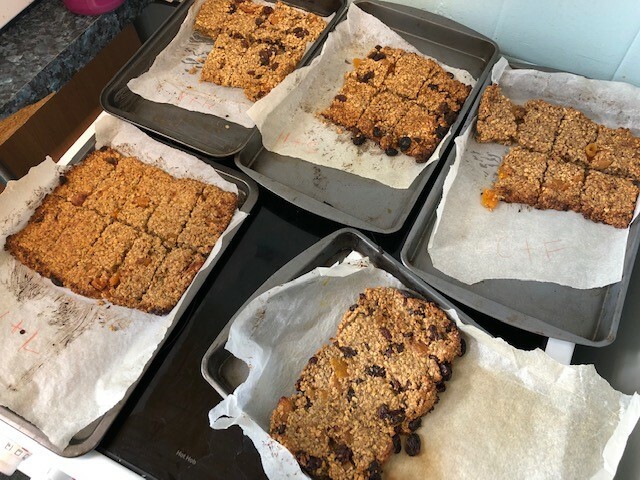 The flapjack recipe were nice and easy to cook. 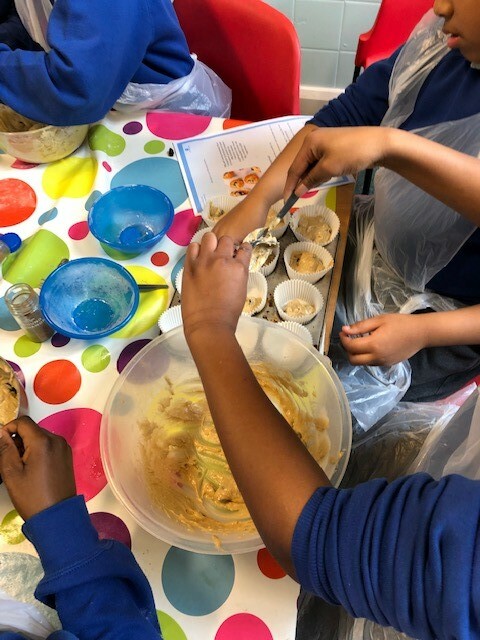 My favourite part was measuring the food because it was funny to watch the numbers change on the scales as you added more, we had to be very careful! 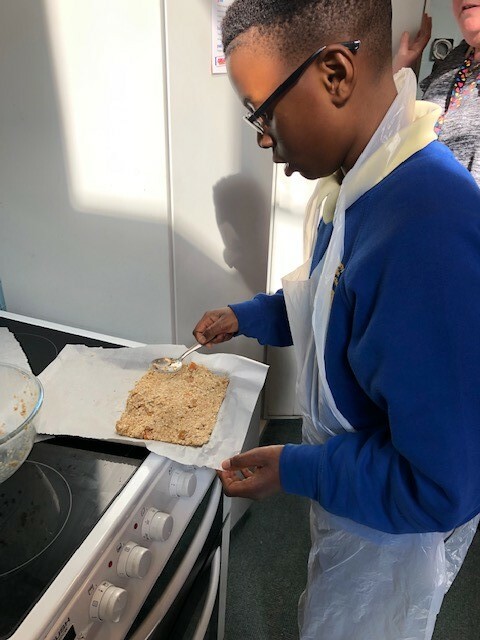 I have learnt about healthy eating, I enjoyed making the food and my favourite recipe was the flapjacks. 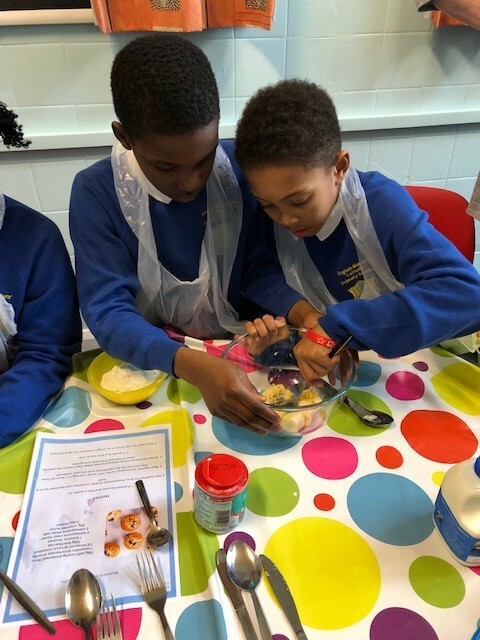 I have enjoyed learning to make different recipes and cooking in a kitchen. 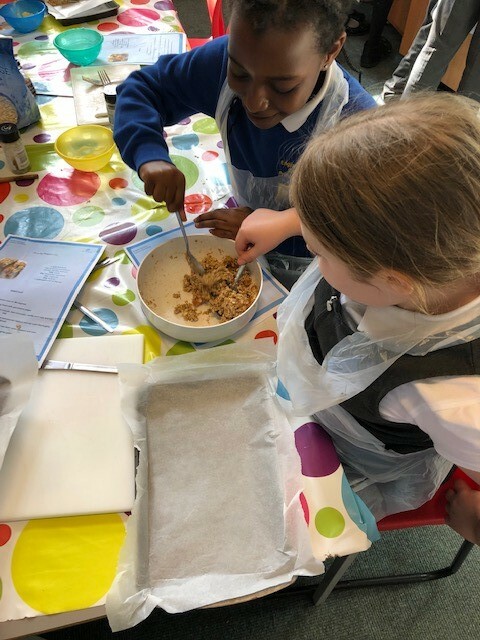 My favourite recipe was the flapjacks. 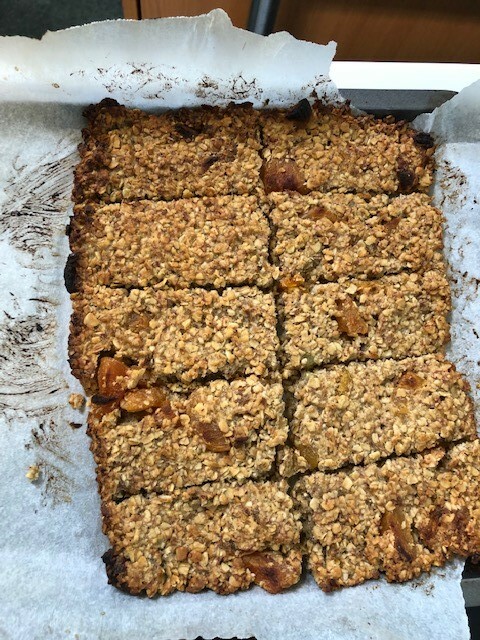 I have enjoyed cooking the flapjacks because it was a simple recipe. It was awesome! I want to do it again, but it has ended. 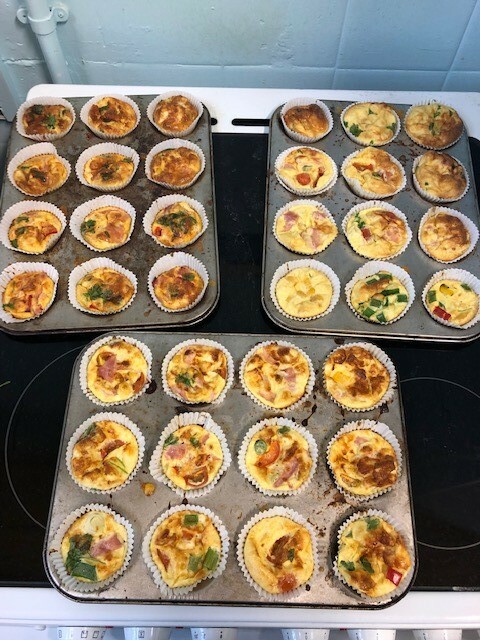 I loved the frittata and the muffin recipe. Thanks! P.S. 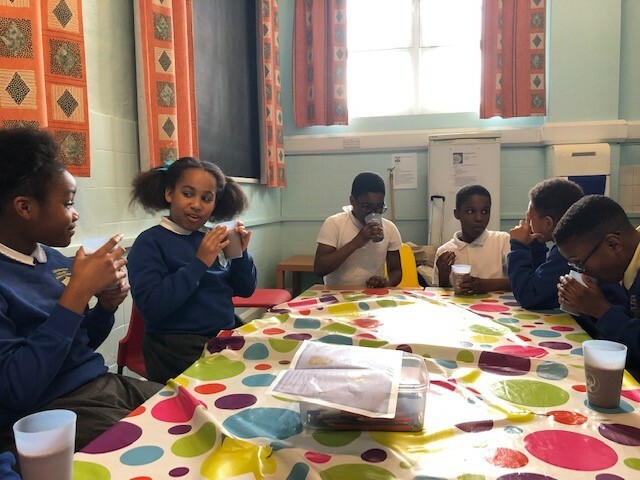 it was lovely I hope the next year 4’s have a nice time.